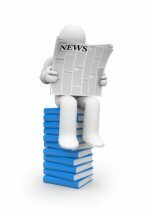 Canadian and U.S. bookkeeper NEWS ... on this page you'll find links and news essential for ... the hard working ... self-employed ... small business owner acting in the role of bookkeeper. If you want to lift your nose out of the books and get your mind off bookkeeping for a few minutes, you'll also find enjoyable "Teabreaks" scattered throughout the "News". Here is where I post small business bookkeeper news from governmental agencies other than CRA or IRS like the BC Ministry of Finance, Canadian Department of Finance, the U.S. Department of Labor, etc. as well as market watch links. a list of zero-rated and exempt GST/HST supplies. if you're thinking about yesterday. or sneak a peek at other bookkeeping pages to book mark to come back to later when you have more time. I initially developed this page as a handy reference for myself. While I do my best to ensure it is accurate and complete, I make it available for your use with the understanding that I cannot be held liable for errors and/or omissions. Please make yourself familiar with my site policies prior to relying on any of the information on this site. This is a reminder to plan for and take a vacation. It will renew your creativity and productivity. Working from home blurs the line between your personal life and work life ... making a planned vacation even more important. Canadian COMPLIANCE* DUE DATES, useful for the bookkeeper, can be found in the "The Compliance" section. Information is categorized federally and provincially (Province of B.C. only for now). Sales & Use tax in the U.S.
... that sort of thing. And let's not forget income taxes! CRA has released their proposed new rules for the Voluntary Tax Program effective January 2018. The 2019 EI rates including the maximum earnings that premiums can be deducted on were released by the Canada Employment Insurance Commission. The mandated 7 year break even objective has resulted in an decrease in 2019 rates. Click here for 2019 EI rates. CPP rates are normally announced in November. For more information, go to the Department of Financed website. It will be something like ... fin.gc.ca> News> Statement on the Employment Insurance Premium Rate Change for 2019. Yesterday, the Harper government announced a new Small Business Job Credit effective for 2015 and 2016. It will reduce small businesses' EI premiums by about 15%. To ensure there is no additional administrative burden to small business owners, CRA will automatically calculate the credit on your business return. It was also announced that the 2017 EI rates for employees and employers will see a substantial reduction as the new seven year break-even rate setting mechanism takes effect. Annual rate adjustments will be limited to 5 cents. The hiring credit for small business has been eliminated for 2014. It was in effect for 2011-2013. Click here for 2015 EI insurable earnings rates. For more information, go to fin.gc.ca> News> Harper Government Introduces Small Business Job Credit. On September 9, the Harper government announced the 2014 EI rates including the maximum earnings that premiums can be deducted on. The rate is frozen at the 2013 rate for the next 3 years. Click here for 2014 EI rates. For more information, go to fin.gc.ca> News> Harper Government Supports Job Creation with Three-Year Freeze of Employment Insurance Premium Rates. On September 14, the CEIFB (Canada Employment Insurance Financing Board) announced the 2013 EI rates including the maximum earnings that premiums can be deducted on. For more information, go to ceifb-ofaec.ca> Media Room> The Canada Employment Insurance Financing Board Publishes its 2013 Employment Insurance Premium Rate Report ... AND news.gc.ca> HRSDC news> September 14, 2012> Canada Employment Insurance Commission announces 2013 Maximum Insurable Earnings. The CEIFB (Canada Employment Insurance Financing Board) announced the 2012 EI rates including the maximum earnings that premiums can be deducted on. CEIFB explains that "this amount is indexed annually using the growth in the average weekly earnings as published by Statistics Canada. Thus, an increase in premiums paid by employees is a combination of any change in the EI premium rate, as well as the impact of any change in the MIE (for those at the maximum level of insurable income)." The Chief Actuary forecasts the break-even rate for 2012 for all provinces except Quebec to be $2.56 per $100 of insurable earnings. 2012 will be the first year the EI Operating Account is expected to break even on an annual basis. On November 7, 2011, the Finance Minister announced 2012 EI premiums will only rise by 5 cents to 1.83% due to the global economic slowdown. They had been expected to rise by 10 cents as announced on September 30, 2010. An 16 week extension to the Work-Sharing Program was also announced. 2012 EI maximum insurable earnings have NOT been released yet ... but I am expecting they will be released by the third week in November as they were last year. 2012 CPP Rates were released on November 1. In 2009, EI premiums were frozen as part of Canada's Economic Action Plan. The plan called for the premiums for 2011 and beyond to be set on a break-even basis. The Finance Minister announced on September 30, 2010 that it still supported the principle that the EI system should break even over time ... but at a slower rate. This means there will need to be modest increases over a number of years to repay the deficit built up in 2009 and 2010. To continue to support the current economic recovery, 2011 EI premiums only rose by 5 cents (.05%) instead of 15 cents (.15%) ... to 1.78% from the current 1.73%. Subsequent years were expected to increase by 10 cents (.10%) per year. For more information, go to Department of Finance>Publications and reports> Backgrounder on EI Rate Increase Limit and Department of Finance>News> Harper Government Takes Action to Support Jobs and Growth. Last week, the Minister of Finance announced the launching of Employment Insurance (EI) premium rate-setting consultations. Maintaining a transparent rate-setting process." Those wishing to participate can do so at Department of Finance> About Finance Canada> Consultation Paper: Employment Insurance Premium Rate Setting - August 18 2011 (www.fin.gc.ca/activity/consult/eiprs-etcac-eng.asp). What is an acceptable maximum annual change in EI premiums? What should be the rate-setting process?" The stone ... after the throw. The word ... after it's said. The occasion ... after it's missed. The time ... after it's gone. "We" all know if you aren't getting the results you want in any area of your life, the only way to get a different result is to do something different to change it up ... and hopefully you'll get different results ... the ones you were hoping for. Austin Netzley's excellent article in Business Insider titled "15 money tips to make you rich in 2015" lists 15 action items to help you do things a bit differently in 2015 ... or this year. I've summarized them here but follow the link above to read the entire article. It's worth your time. Become you own CFO - Become aware of where your money is going. Go on a diet - Cut out one expense for 30 days that isn't helping you achieve your goals. Be selfish - Take care of yourself financially so you have move flexibility to help others. Be selfless - Nurture an attitude of selflessness that focuses on helping others. Improve your credit score - get your free credit report and address any items hurting your score. Add another income stream - Never put all your eggs in one basket. Focus on passive and residual income - Build wealth by putting your business or money to work for you instead of trading your time for money. Make your investments boring - Investing should be more like watching paint dry. Learn to take the emotion out of it. Running your own business is high risk. Your other investments should be low risk for a "balanced" portfolio. Track your progress - Think big picture and monitor your net worth I.E. track how much of your money / wealth you keep. Cut 10% - And invest it ... in yourself ... or pay down debt ... or invest it in items 8, 9 or 11 above). Hang out with rich people - You become the average of the five people you spend the most time with. So that takes care of the finances for 2016 but how about your health? "We" also know that bookkeepers spend much of their day sitting in front of a computer ... which isn't the best for your health if you aren't doing regular exercise and eating properly. For those who are thinking about their New Year's resolutions and want to achieve different results than in the past in this area ... here's one to consider that could make a difference in your personal life and your business. Their free library is amazing. It has Office Yoga routines that are as short as 5 minutes, Chair Yoga routines to get you moving, your blood flowing and give you a boost of energy ... which we can all use at some point through the day. After giving it some thought, my yoga mantra for 2016 is going to be "Make a different choice today." As bookkeepers, it is up to us to keep ourselves healthy so that we can be available for our families and to serve our customers / clients. I don't know about you but I started my own business so I could have a life on my terms. With this in mind, last year (2015) I switched the tea I'll drank during my tea breaks. 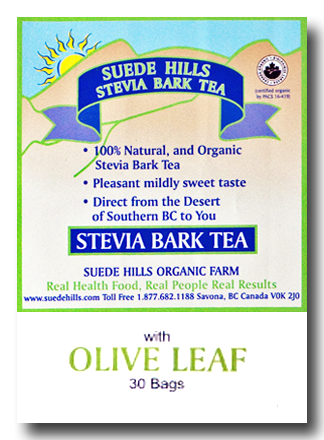 Suede Hills Organic Farm*, located in Savona, BC, has this amazing Olive Leaf tea that helps alkalize your body. The more alkaline your body, the more vitality you'll have. Remember do something different in 2016 to get different results! *Please note that I do not receive a commission from Suede Hills Farm. I just like their products and wanted to share it with you. QuickBooks 2016 payroll table updates will be released on January 11, 2016 due to CRA's delay in releasing the 2016 tax tables. The support notes say if you are currently using QuickBooks 2014 or an earlier version, "you must upgrade to the latest version of QuickBooks in order to use the new Tax Table Update for Payroll." If you ever want to check that you have the latest release ... go to the Employee menu and select My Payroll Service>Tax Table Information. It should tell you the date the tax table calculations are updated to and when the tax table expires. The first two digits of the tax table version are supposed to inform you the date your tax tables are good to. This is always good news for me because I don't like to update to the latest version until they've had a chance to work out the bugs. If you have Automatic Updates turned on, you would have received the update automatically. It's easier to just search for "How to update QuickBooks". Quebec transitions to HST on January 1, 2013. Intuit has HST setup instructions in QuickBooks. The original link at support.intuit.ca is no longer available but the title of the article classified under Taxes was 'How to setup QuickBooks to track the new QST in 2013'. 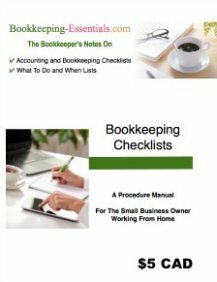 I try to track and update this information annually as I feel this guide is useful bookkeeper news. I'm late reporting this. There is a section for professionals and business owners, incorporating your business, incorporated employees as well as employees and US tax for Canadians. The Bookkeeper News likes to search out articles that may be useful to small business owners. One of the goals of The Bookkeeper News is to help you relax and take the odd teabreak. I like watching some of the singing and dancing reality shows. I share my favorites with you. Click here to skip your tea break and go directly to more news. One of the things I like about living in Radium is that I can walk everywhere in town. The other is the wildlife that comes to visit. 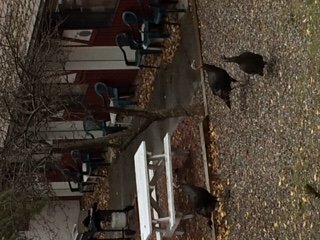 Today the wild turkeys dropped in for a visit! An POS malware alert from the Department of Homeland Security has been issued. The malware is called Backoff. It recommends you use two factor authentication as remote access was gained through poor/weak passwords. Steps to mitigate risks are outlined. The Journal of Accountancy (JOA) has an excellent article on the revised standards for compilation engagements to prepare financial statements issued by AICPA ARSC. The article discusses SSARS No. 21 revisions to non-audit standards. A compilation engagement is also referred to as a "Notice To Reader" (NTR) statement. These financial statements are usually compiled from information provided by the management of the business. No attempt is made to assure readers that the information contained in the financials is in accordance to GAAP. NTRs differ from a review engagement where limited assurance is provided by having the accountant perform inquiries and analytical procedures on the information provided. "The new standard eliminates a requirement from previous standards dating to 1978 that required accountants in public practice who prepared financial statements to, at a minimum, perform a compilation engagement with respect to any financial statements they presented to management or to third parties. In recent years, the question of who has prepared financial statements has become more difficult to answer due to the expanded use of technology such as cloud computing. By eliminating the submission requirement, SSARS No. 21 eliminates the need for accountants to use professional judgment to determine whether they have prepared financial statements. The potential for diversity in practice also is eliminated." You can download AICPA's fact sheet on their website. SSARS No. 21 used ISA's ISRE 2410 and ISRS 4410 as a base when drafting the standards. Back in February 2014, an Ontario MPP tabled a private member's bill to regulate financial advisors. Don Cayo also has an interesting article on this topic with regards to B.C. Bing/Google "B.C. should stiffen regulation of financial advisers" published by the Vancouver Sun. As early as January 2015, new online copyright infringement comes into effect. Unlike the U.S. Notice and Take Down system, Canada will have a Notice and Notice system. You can read more in an article titled "Made in Canada” online copyright infringement regime coming into force by Brian P. Isaac and Daniel M. Anthony from Smart & Biggar/Fetherstonhaugh. The official news release was issued on June 24, 2014. The World Intellectual Property Organization (WIPO) Copyright Treaty and the Performances and Phonograms Treaty is effective in Canada on August 13, 2014. On May 28, 2014, IASB and FASB released the converged revenue recognition standard. PwC has a good article on how it will change how you do business. E&Y stated that IFRS15 is a "significant change from current IFRS ... will need to use more judgement ... because the use of estimates is more extensive". The new standard ends industry specific rules; consistent principles will apply to all. New disclosure requirements for contracts with customers; revenue is recognized as each performance obligation is fulfilled. Contingent fees may be recorded earlier. A new approach to reporting fees from licensing of intellectual property. A new approach to capitalizing contract related costs. The amount of revenue recorded for longer term contracts. Bonus plans, commissions and debt covenants may need to be renovated to maintain their original intent. This time of year I watch the live shows and record series I like to watch. Tonight on American idol, Jena Irene's (can you believe she is only 17 years old?) performance of "Can't Help Falling in Love With You" and Caleb's "Maybe I'm Amazed" were my two favourite performances ... and there were so many other performances that were excellent too. I guess my picks really show my age! I've also been throughly engaged with Meryl and Maks dancing these last few weeks on Dancing with the Stars. When both dances came to an end, I was so engrossed I was surprised they stopped dancing. It felt like they just got started. Meryl is the kind of dancer I love to watch ... so much grace and elegance. British Columbia's MSP (medical services premiums) rates are set to rise in 2015. If you are paying the premiums for your employees, don't forget the premiums are considered a taxable benefit and must be included on the employee's T4 slip. 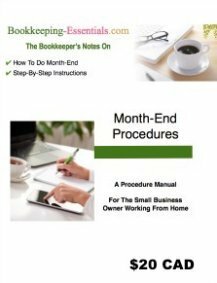 This piece of bookkeeper news should help low income small business owners. How? If you earn under $30,000, you may be able to apply for premium assistance that can reduce your premiums due. Click here for premium assistance (subsidy) rates. Currently a 100% subsidy is available for those who earn $22,000 or less. Premium assistance is to be enhanced so those receiving it will be unaffected by the rate increase. Nova Scotia announced in 2012 an intention to reduce the HST in 2014 to 14% and again in 2015 to 13%. However the Nova Scotia Finance Department announced it cannot afford to lose the revenue and will not be proceeding with the previous government's HST rate reductions. The International Accounting Standards Board (IASB) is holding a series of free webinars that run through to November discussing issues raised in the discussion paper on the conceptual framework for financial reporting. The first presentation was held on September 3 on the definition of assets and liabilities. The webinar was recorded; you can see the slides and listen to an MP3 recording. Each webinar includes a Q&A session. We do know the framework is not GAAP ... that was the point in releasing ... to give small business a reporting framework that met their needs and the needs of their private investors. I have discussed why small businesses might not want to use GAAP reporting before. In this chat I discuss how important it is to not use GAAP finanacial statement titles ... on of NASBA's issues ... like Balance Sheet or Income Statement. For the Balance Sheet, I use Statement of Financial Position - Tax Basis (Unaudited). For the Income Statement, I use Statement of Operations - Tax Basis (Unaudited). During the year, when interim monthly reports are issued, I use the term "Unajduted" rather than "Unaudited" to reflect that month-end / year-end adjusting entries have not been prepared. You can download a copy of the Financial Reporting Framework for Small and Medium-Sized Entities for free at AICPA. It is interesting to note that the guide says, "The Financial Reporting Framework for Small- and Medium-Sized Entities re- produces substantial portions of the CICA Handbook © 2012, published by The Canadian Institute of Chartered Accountants, Toronto, Canada (CICA), used under licence from CICA." The CPA letter daily says "the framework is complementary to the Financial Accounting Foundation's Private Company Council, which is considering potential GAAP exceptions and modifications for private companies". This is bookkeeping news for my US readers. In the December 15, 2012 newsletter there is an article on Accounting Standards for Private Enterprises (ASPE). It contains information on the American Institute of Certified Professional Accountants' (AICPA) draft of a Financial Reporting Framework for Small and Medium Enterprises released early in December. When the draft is finalized in 2013, it will provide guidance and optional reporting choice over GAAP for privately owned businesses in the U.S. While catching up on my reading for The Bookkeeper News, I came across a webinar that will be useful to bookkeepers who want to learn more about the Accounting Standards for Private Enterprise (ASPE). ASPE is the one of the new GAAPs that went into effect on January 1, 2011 in Canada. Deloitte's is holding an interactive webcast to improve your understanding of the changes to ASPE and better prepare for the year-end financial reporting cycle. Some important topics that will be covered include the 2012 annual improvements process and Employee Future Benefits. Deloitte's is offering a webinar on Tuesday November 9 at 2 pm EST on Thinking strategically about Accounting Standards for Private Enterprise. "This webcast is intended to help private enterprises start thinking strategically about all of the choices and decisions that need to be made when transitioning to Accounting Standards for Private Enterprises (ASPE). It is important to remember that the choices made can have a significant impact on users, financial statements, work effort and transition costs – among other things. Reporting: Key ASPE reporting considerations in the year of adoption"
Bookkeepers and small business owners can register at www.deloitte.ca> Insights> Webcasts >Deloitte Update webcasts> Thinking strategically about Accounting Standards for Private Enterprise. Ceridian is offering a free webinar on year-end best practices for payroll. It will assist you in being compliant with CRA and having successful year-end reporting. If you are on the paperless road and want to learn more about eSignatures and how to use them ... or you want your bookkeeper to use them when dealing with your account / paperwork ... then Accounting Today's June 24, 2013 article by Steve Dusablon titled Using E-Signatures in the Tax and Accounting Profession is worth a read. I've started grouping the tea breaks together in a few spots. If you aren't interested in this post ... just click here to view more bookkeeper news items. I first posted this on January 8, 2012. I think it's time to brush it off and read it again as summer approaches. As a small business owner it is easy to forget what is really important. “Now,” said the professor, as the laughter subsided, “I want you to recognize that this jar represents your life. The golf balls are the important things - God, family,children, health, friends, and favorite passions. Things, that if everything else was lost and only they remained, your life would still be full. The pebbles are the things that matter like your job, house, and car. The sand is everything else -- the small stuff.” he said. “If you put the sand into the jar first,” he continued, “There is no room for the pebbles or the golf balls. The same goes for life. If you spend all your time and energy on the small stuff, you will never have room for the things that areimportant to you...” he told them. While bookkeeping, I was listening to Ralph Vaughn William's Fantasia on a Theme by Thomas Tallis performed by Eugene Omandy and the Philadelphia Orchestra ... on YouTube (https://www.youtube.com/watch?v=IbzxhZT6akk) ... excellent music to do bookkeeping by. My favorite couple won Dancing with the Stars tonight ... Kellie Pickler & Derek Hough. Their freestyle dance received a standing ovation from Len. I also loved his choreography for Kellie's Pasodoble Trio Dance ... even if Len didn't. I just love Derek's choreography ... period! I am so glad Derek decided to dance this season ... and Kellie was perfection! IF you have been following this site over the past 4 years, you know I like dance. The Shadow Theatre Dancers from Hungary that performed in Britain's Got Talent 2013 is A-M-A-Z-I-N-G.
To enjoy more teabreaks, click here. BC has now transitioned to PST + GST. If you live outside BC, you probably think this doesn't affect you. Well, you'd be wrong. If you are a retailer (Canadian or foreign) that sells to BC businesses or residents ... you too need to register for a PST number!!! Bookkeepers can also register for third party access to their clients' accounts. A summary of all PST rates. They now range from 7% to 12%. A summary of the transitional rules. Link to a nice summary sheet of what's taxable and what's not. A summary of all the announcements. A writeup on travel and transportation rules. Last item ... if you have employees in B.C., remember you are required to ask each of them to complete a new tax exemption form. This should have been done before April 1, 2013 (when PST came into effect). The Senate quickly approved The Marketplace Fairness Act (MFA) this week, bypassing the Finance Committee. It is now in the House. The Judiciary Committee has said they will take more time to review the bill and attempt to make it simpler, according to the Hillicon Valley Technology blog. They want to see uniformity on definitions and tax rates. The bill exempts small businesses with annual sales under $1 million. This bill is aimed at large online retailers like Amazon so small business online retailers don't have to worry at this point. As of February 2014, this is still just proposed legislation. A report was issued in September 2013 by the House Judiciary Committee to frame MFA discussion. It is called "7 Principles fo Remote Sales Tax." In Wikipedia, there is a nice two paragraph summary of current law and the problem which is behind The Marketplace Fairness Act. "Each state in the United States may impose a sales tax on products or services sold in that state. Most states impose a sales tax, some states do not; and each state may set the rate and scope (products taxed) of the sales tax. Within each state, counties and cities may have different sales tax rates and scope, resulting in many different rates based on the location of the point of sale. Generally, the states allow (or require) the seller to itemize and collect the tax from their customers at the time of purchase. Most jurisdictions hold sellers responsible for the tax even when it is not collected at the time of purchase. Residents of the 45 states with sales and use tax must pay tax on their online purchases. However, according to the Supreme Court rulings [...], retailers, including catalog and online sellers, only need to collect sales and use tax for states where they have a physical presence. If an online retailer does not collect sales tax at the time of purchase, the consumer must pay the use tax due directly to the state. While business compliance with use tax filing is quite high, consumer compliance is rather low. The Marketplace Fairness Act seeks to increase compliance and tax collections by shifting the responsibility for payment from consumers to retailers." The Calfornia State Board of Equalization discussed electronic order sales in their Economic Newsletter Volume XVII, Number 1 February 2011 stating "remote sales are very important to tax administrators and policy makers. If remote sales are made to California residents from vendors located outside of California, with no physical presence in this state, federal law prevents California from requiring the vendor to collect use tax from the consumer. [my emphasis] The responsibility to remit taxes due falls upon individual California consumers rather than out-of-state vendors." * when vetoing sales tax collection on internet sales with nexus to Ohio. A February 13, 2013 Reuters news article announced that collection of online sales tax by online-only merchants was re-introduced in the Senate as The Marketplace Fairness Act. It was proposed "to exempt from sales tax collection any merchant with $1 million in annual sales or less." Businesses who do business online but have a physical store already collect online sales tax. Robert Wood is a U.S. lawyer ... and I enjoy his blogging. On Boxing Day (December 26) he aptly wrote a blog titled, "7 Key Rules Govern Tax Online". As I chatted about in my October newsletter, sales tax seems more complicated in the States than in Canada. Mr. Wood's blog does a great job outlining the key factors. While there are some self assessment requirements, for the most part, it is the merchant that collects sales tax in Canada ... based on place of supply rules. In the U.S., Americans are supposed to report their use tax on their income tax returns ... really ... really ... if the merchant did not collect it. The State governments want the average citizen to have a bookkeeping system in place to determine how much use tax they owe the government ... really ... really! It seems to me it is the government's responsibility to have a system ... whose foundation is not self-assessment ... in place to collect these taxes. But that is changing with many states looking to expand/change the laws to include online shopping. In Canada, our place of supply rules are based on the location of the customer. It makes it simple with rules in place to help determine the location of the customer when customers have multiple locations or business crosses provincial/territorial/country borders. Since having this website, I have come to a real appreciation of how well the federal, provincial, and territorial governments in Canada work together to reduce paperwork and eliminate trade barriers between the provinces/territories. Sales taxes must also show on the invoice and not be hidden or embedded in the cost ... making it easy to see what you are paying. You can read Mr. Wood's blog at forbes.com ... he is a regular contributor. THE HILL's Technology Blog reported on December 25 that time has run out to gee a vote on the online-sales tax bill. It will have to re-introduce the measure in the next session of Congress. "The Marketplace Fairness Act, authored by Sens. Durbin, Mike Enzi (R-Wyo.) and Lamar Alexander (R-Tenn.), would empower states to tax their residents' online purchases. The bill exempts small businesses that earn less than $500,000 annually from out-of-state sales". Currently, states "can only collect sales tax from retailers who have a physical presence in the state". When a purchase is made online, the purchaser is supposed to self assess the tax by declaring their purchases on their tax forms. Read Brendan Sasso's entire article at thehill.com. In my last bookkeeper news ezine (October 2012), I briefly reviewed sales tax in Canada and the U.S. Today while catching up on my reading, I came across a new article on U.S. sales tax. Michael S. Schadewald, CPA, Ph.D. reviews the 13 states that have adopted source based sales tax in a Tax Advisor article Apportionment Using Market-Based Sourcing Rules: A State-by-State Review. Under this method, sales tax is assigned based on where the service is received ... i.e. the location of the customer. Since July 2010 GST/HST place of supply rules in Canada work this way as well. The article can be found at AICPA.org> Publications> The Tax Advisor> 2012> November> Apportionment Using Market-Based Sourcing Rules: A State-by-State Review. You may also be interested in reading an October 25, 2012 article by Annette Nellen, Esq., CPA, written for the AICPA Corporate Taxation Insider newsletter, about the trouble states have in collecting sales and use taxes ... and some potential solutions. - see blog dated October 30, 2012 and follow Professor Nellen's link. In Obama's State of Union address on February 12, 2013, he announced that the federal minimum wage will be increased in stages until it reaches $9 in 2015. After that, the minimum wage will be indexed to inflation to help worker's "climb into the middle class." The penny will no longer be distributed beginning in February. Budget.gc.ca has an excellent pictorial example of how to bookkeep for the elimination of the penny. The general guidelines were reported by The Bookkeeper News in July last year. See below for the information. As a point of interest, the penny is scheduled to stop circulation as of February 4, 2013. The Minister of Finance says that "when pennies are not available, cash transactions should be rounded to the nearest five-cent increment in a fair and transparent manner. A rounding guideline that has been adopted in other countries, and that will be adopted by the Government for its cash transactions with the Canadian public, is attached. Electronic transactions, such as those with debit and credit cards, as well as cheques, will not need to be rounded." "The Royal Canadian Mint will cease distribution of pennies to financial institutions effective Fall 2012. Businesses will then be asked to return pennies through their financial institutions to the Royal Canadian Mint for melting and recycling of the metal content." Congress approved the Senate The American Taxpayer Relief Act late last night; the vote 257-167. The last step is for Obama to sign the bill. Journal of Accountancy (JOA) has a good article outlining this act under News> Congress passes fiscal cliff act. You should take a look at the "Business Tax Extenders" section of the article ... it's a long list. The "fiscal cliff", so talked about in the press, refers to spending cuts and tax increases that were due to expire at the end of 2012. The automatic deadline could create a recession in the U.S. which would also affect Canada's economy. In the early morning hours of 2013, as the new year came, the U.S. Senate passed legislation (89-8 vote) to prevent middle class tax hikes. Congress now needs to vote later this week. Individuals earning over $400,000 and households earning over $450,000 annually will see their taxes rise about 13% under this legislation to 39.6%. It affects approximately 2% of taxpayers. The 2% Social Security payroll tax cut will lapse. The alternative minimum tax has been permanently adjusted for inflation. Section 179 expensing (see below) and accelerated bonus depreciation have been extended for one year. JOA states, "It now generally applies to property placed in service before Jan. 1, 2014 (Jan. 1, 2015, for certain property with longer production periods)". There are of course other items included in this bill that are not directly related to small businesses. The Journal of Accountancy has an excellent article that my US visitors may be interested in reading. It looks at ALL the expired and expiring tax items including the expiration of the current tax rates. Social Security payroll taxes in 2013 could return to 6.2% from the current 4.2%. Business items on the list are Section 179 expensing is set to expire at the end of 2012; bonus depreciation expired at the end of 2011. The Bookkeeper News will keep you up-to-date on any fiscal cliff items that may affect your small business. I'm a little late posting this item ... but I did mention it in the December newsletter. On December 14, 2012, the Harper government announced the income tax rules for PRPPs were now in force. The tax rules for PRPPs will apply to both federally and provincially regulated PRPPs. To read the complete announcement, go to fin.gc.ca> News> Harper Government Takes Final Step in Development of Pooled Registered Pension Plans. The Department of Finance Canada will pre-publish the second and final tranche of PRPP regulations on October 27, 2012 in the Canada Gazette for a 15 day public comment period. You can find more information at fin.gc.ca> News> Harper Government Pre-Publishes Second and Final Tranche of Pooled Registered Pension Plan Regulations. You will can view the PRPP amending regulations by going to "Publications and Reports> Regulations Amending the Pooled Registered Pension Plans Regulations. The Bookkeeper News will keep you up-to-date on the progress of this legislation. The Harper government published the proposed Pooled Registered Pension regulations today. You can find out more information on the Department of Finance Canada website (www.fin.gc.ca) under "News". You will can view the PRPP regulations by going to "Publications and Reports> Pooled Registered Pension Regulations. Minister of State (Finance) Ted Menzies announced the royal assent of Pooled Registered Pension Plans (PRPPs) Act With Small Business Owners and Employees. PRPPs will be "lower cost, free of payroll taxes and administratively simple" alternative for the 80 percent of business owners and their employees who have no company retirement plans. WCB Alberta is moving to electronic premium rate statements for 2013. This means you will not be receiving your statement in the mail mid-December as n pst years. To access your WCB premium rate statement, you have to open an online account with WCB Alberta at wcb.ab.ca/employers/online_signup.asp . If you outsource your payroll, they will need this information. A shout out to OnPayroll.ca for this bookkeeping news notification. The U.S. patent system is undergoing changes. Find out if they affect you by reading U.S. Small Business Administration's (SBA.gov) latest article titled How Sweeping Changes to the U.S. Patent System Will Impact Your Small Business. The article explains how you can now give input on pending patent applications and how it is easier to resolve patent disputes. The system moves "from a first-to-invent to a first-inventor-to-file system" in March 2013. You will also find valuable links to other patent and intellectual property articles. The Bookkeeper News searches for small business items of interest so that you can use your time to grow to your business. I've grouped all of the tea breaks together in one spot. If you aren't interested in this post ... just click here to view more bookkeeper news items. The dancing this season has been remarkable. My pick to win the trophy is the Melissa and Tony team. I absolutely loved their Argentine tango last night - score 30. Tony is dancing with a back injury and Melissa had a neck injury 2 weeks previously. I was sad to see Apolo and Karina leave tonight. I had two favorite performances tonight on Dancing With The Stars - All Stars. Most of the dance styles were new to the show this week, so even the pros were out of their comfort zones. I liked Val and Kelly's contemporary dance routine. While the dance technique wasn't perfect by any means, I just really like watching these two dance. Kelly's dancing has been surprising me this season. I just LOVE, LOVE, LOVED Shawn and Derek's routine.They got a standing ovation from the judges two weeks in a row! I loved the pause in the dance ... and Derek's jump at the end of the dance was amazing. I loved their routine from last week too. Even though they broke the rules, the judges gave them a standing ovation. Bruno said it was the best dance in 15 seasons ... so I'm going to post it as well. Just watch for the height of her jumps! This entire season has been spectacular and so entertaining. Audrey and Twitch's Hip Hop Dance choreographed by Dave Scott --- https://www.youtube.com/watch?v=Iy1d4gACa6o (https://www.youtube.com/watch?v=JNpVTyeIwEI includes judges comments) ... and Cyrus and Jaimie's Contemporary dance choreographed by Travis Wall --- https://www.youtube.com/watch?v=ZsYTRHKlfLs. I always enjoy watching anything by Twich. Cyrus's raw talent is a joy to behold. I also liked Eliana and Alex's Contemporary routine by Stacey Tookey, which got a standing ovation from the judges ... just not as much as the two above --- https://www.youtube.com/watch?v=Zl_j8EmgvGY . I am a big Alex fan. I love Phillip Phillips song "Home". It's raining here so I thought I'd share this link. Enjoy your teabreak! This performance by Susan Boyle on Britain's Got Talent 2009 is still one of my favorites. I stilll get goosebumps when I listen to it. As we start the new year, I thought it was worth watching again just as a reminder that you are never too old to give up on your dreams. And there are only three words to describe this performance from the 2010 final - A Maze Ing! Click here to continue your tea break! The International Federation of Accountants (IFCA) released a 24 page publication earlier this year titled, "Good Practice Checklist for Small Business". The CA Practice Advantage September newsletter has recommended the publication. The tool can be downloaded and used to prepare for meeting with your accountant or as a diagnostic tool to determine what kind of advice you, as a small business owner, might need. You can find it at ifca.org> publications & resources> business advisory (under Tags on the right hand side). It is a pdf document so you can save it to your desktop for future reference. The BC government announced in its 2012 Budget that all aspects of the carbon tax will be under review. You have until August 31, 2012 to make a written submission. See www.fin.gov.bc.ca> CarbonTax Review and Carbon Tax Overview for more information. Making the review process for major economic projects more timely and transparent while protecting the environment. Enhancing the governance and oversight framework for Canada Mortgage and Housing Corporation. Making Employment Insurance (EI) a more efficient program that connects Canadians withavailable jobs. Gradually increasing from 65 to 67 the age of eligibility for Old Age Security (OAS) and the Guaranteed Income Supplement (GIS) starting in April 2023. Allowing for the voluntary deferral of the basic OAS for up to five years starting on July 1, 2013, resulting in a higher, actuarially adjusted, annual pension. Modernizing Canada’s currency by gradually eliminating the penny from Canada’s coinage system." 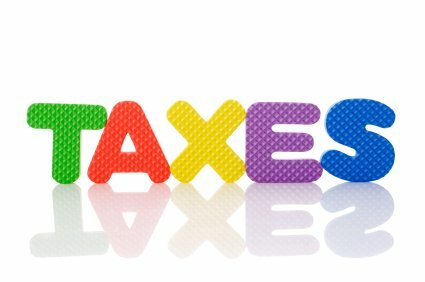 A reminder that you must file your 2010 tax return by June 30, 2012 to apply for the last payment. The deadline to apply for the third payment and final is June 30, 2012. Eligible families (including single parents) receive up to $335 and eligible single people receive up to $100. You can get more information at www.fin.gov.on.ca> credits, benefits and incentives> Ontario sales tax transition benefit. Finance Minister Jim Flaherty praised the IRS decision to help dual citizens with their US tax filing requirements today. Many dual citizens do not know that they are required to file US tax returns and Foreign Bank and Financial Accounts (FBAR) filings. You can find the June 26, 2012 IRS announcement at www.irs.gov>newsroom> IRS Announces Efforts to Help U. S. Citizens Overseas Including Dual Citizens and Those with Foreign Retirement Plans. This posting has been moved to reimplementing PST. These postings has been moved to reimplementing PST 1 and and reimplementing PST 2. Deloitte has published two terrific articles in the June issue of Privately speaking: Tax insights; a free newsletter. The first article that caught my attention was regarding the upcoming changes to personal service businesses (incorporated employees). I chat more on the PSB proposed legislation here. The second article which I enjoyed reading was The CRA's information highway: Tightening up on taxes. Yogesh Bhathella discusses the mutiple sources of information CRA uses to ensure everyone is paying their fair share. The item that caught my attention was reviewing land registry or property tax roll information. You can read the article at www.deloitte.com> Insights> Insights and Issues> The CRA's information highway. Ernst&Young's TaxMatters@EY - January-February 2012 issue has an excellent article titled Carefully consider management fees in related party planning. The article shares CRA's views on "establishing a reasonable basis for computing a management fee between a professional practice and its related holding company". The article gives background, the question posted at a conference roundtable and CRA's response. The conclusion by E&Y is "this technical interpretation serves as a useful reminder to taxpayers that the fair market value (FMV) of the services provided is the only basis on which such related party transactions should be valued". You can find the complete article www.ey.com> Canada> Services> Tax> TaxMatters@EY - January-February 2012. I thought this piece of bookkeeper new was interesting. Canadian Business released an article about the merger negotiations going on between the three professional accountancy bodies. They've agreed on 8 overarching principles which can be found at visioncga.org. There is dissension. One prominent forensic accountant "rejects the suggestions that CAs, CMAs and CGAs do identical work, noting especially a difference between auditing and management accounting. “It’s like you’re having the orderlies merge with the doctors and nurses,” he says. “It’s a bloody stupid idea.”"
To read the entire article, go to canadianbusiness.com> News & Markets / Strategy> Canadian accountants attempt merger, confusion ensues. I've been watching The X Factor. While all the performances were good last night, these were my two favorite performances. Drew's performance was my second choice ... can you believe she is just 14! It's summer and So You Think You Can Dance and So You Think You Can Dance Canada are on. I love this couple. I chose this piece for today's tea break because the judge's portion was great fun too! I also loved J&J in this Canadian routine. They got a standing ovation from all the judges! This video should make you smile ... Talking Beaver on the Highway ... a friendly Canadian beaver on the Canada US highway. Change your works ... Change your world. This video should make you smile ... ventriloquist Paul Zerdin ... with a human dummy. This dance on So You Think You Can Dance Canada got a standing ovation from all four judges. For this teabreak, I'm finally posting my favorite dance routine on last week's "So You Think You Can Dance" ... Alex and Twitch. I had two other favorite dances last week too ... Ashley and Ade ... Adechike and Lauren. On the lighter side, I hope Erin and Maks win Dancing With The Stars this season. Their freestyle was my favourite dance of the night. ... and as this is a tea break, Maks recommends Dr. 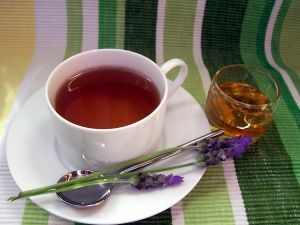 Tea as a herbal medicinal drink that is an all round remedy for everything. You can find out more about it in the book "The Ultimate Tea Diet". I'm marking this down for my next book purchase. QuickBooks 2009 live technical and business support will be discontinued as of January 31, 2012. Ernst & Young have a really good article by Alison Pavlin and Patricia Gurdyal of Toronto in their July 2011 Tax Matters newsletter. The article is titled Common GST/HST Processing Errors. It is worth a read. Restricted and recaptured ITCs, ITC documentation, bad debts, rates of tax, intercompany charges, imports, and accounting for GST/HST are discussed. (Editor's note: this article is no longer available but other articles are on their website at www.ey.com/CA (for Canada)> Services> Tax> TaxMatters@EY. I thought I would just remind BC residents that your HST ballots must be received (not mailed) by Elections BC by August 5th at 4:40 pm. The date was revised due to the postal strike. You can also deliver it to a Service BC instead of dropping it in the mail. If you have not received your ballot in the mail yet, call 1-800-661-8683 for a replacement ballot. Taxtips.ca, my favorite tax website in Canada, has a good posting on Why HST is Good for BC. Take time to be informed before you vote. Here is an excellent BC HST Referendum video by law student Chris Thompson countering some of Chris Delaney and Bill Vander Zalm's arguments. It is titledFightFightHST 2 - Fighting the man who was "The Man," who's fighting "The Man." The Globe and Mail today reports that the BC Liberals have announced a 2% drop in the HST rate if BC voters keep the tax alive when it goes to referendum. A 1% drop would occur on July 1, 2012 with a further 1% drop on July 1, 2014. Small business will be hit as the plan to eliminate this tax, currently at 2.5%, will be postponed. The tax cut will also be offset by a 2% rise in the corporate tax rate ... rising to 12% from the current 10%. The Globe and Mail article points out that Ontario's corporate tax rate is scheduled to drop to 11% next year. Other changes being offered if the HST survives the referendum is a one time payment at the end of the year of $175 for each child under 18 and seniors with low-to-modest incomes. Referendum voting will begin in June using a mail-in ballot system with the results announced in August. Minimum wage will be $8.75 as of May 1, 2011; up from the current $8/hour in place since 2001. Training wage of $6/hour has been repealed as of May 1, 2011. A new and separate minimum wage for liquor servers will come into effect on May 1, 2011 at $8.50. Minimum wage rises again to $9.50 on Nov 1, 2011; $8.75 for liquor servers. Minimum wage rises a third time to $10.25 in May 2012; $9 for liquor servers. There is a new website, www.reduceredtape.gc.ca. It was started on January 13, 2011 when the Prime Minister announced the new commission tasked with cutting red tape for small and medium sized businesses. There are links allowing you to weigh in with your opinions and suggestions. If you feel strongly about this subject, you will want to check out the website. The January 2011 Payroll Update release will be released today. The update includes the latest government tax tables (TT93) for QuickBooks 2010 and 2011. It includes the new tax table effective January 1, 2011 to June 30, 2011 and the ability to amend or cancel T4s and RL-1s for 2010. QuickBooks Payroll 2011 already has this functionality. Other minor issues have been addressed as well. The Bank of Canada released its Monetary Policy Report in late October. The Governor of the Bank of Canada lowered the economic outlook as Canada struggles to recover from the 2007 meltdown. The report touches on Canadians' need to manage their debt as a pronounced correction in housing prices is expected. Of interest to bookkeepers is a commentary on the Knowledge Bureau website. Robert Ironside, an instructor at the Knowledge Bureau, specializes in financial literacy. He has commented on how the low interest rate is affecting three different groups of people. Risk averse retirees struggle as they are forced to touch their capital. Low interest rates (currently 1%) are here to stay for a year or more. People saving for retirement will have to delay retirement or save more to ensure they have sufficient capital for retirement. Low interest rates mean they are losing the compound effect of growing their retirement savings. Canadians who have exceeded the historical debt ratios due to the low interest rates will run into trouble once rates return to more normal levels. Many Canadians are carrying debt equal to 146% of disposable income. This is about the same level Americans carried prior to the 2008 economic collapse. The CGA Association of Canada released a study in May titled, Where the Money is Now: The State of Canadian Household Debt as Conditions for Economic Recovery Emerge. The study CGA focused on Canadian indebtedness as well as spending and saving attitudes. It found an upward trend on debt levels. Borrowing on consumer credit increased. This type of borrowing does not build wealth as is evidenced by decreasing owner's equity. Bookkeepers may want to let their clients know about these reports as they work on their business plans for the coming year. The Key Highlights of the study can be found at www.cga-canada.org> Areas of Interest> Debt and Consumption. You will find a link to download the whole report here as well. The Bank Of Canada Monetary Policy Report can be found at www.bankofcanada.ca> Media Room> Monetary Policy Report. Supplemental PST returns, for reporting PST after June 23, 2010, are filed on theSocial Service Tax Return - Supplementary Form 400S. Page 24 of Tax Information Notice #8 General PST Transitional Rules for Transitioning to British Columbia HST discusses the filing of supplemental returns ... which must be filed on or before January 23, 2011. The Ministry of Finance released Tax Notice 2010-012 Notice to Social Service Tax Vendors clarifying that you may only refund PST to your customers up to October 31, 2010. Any PST refunded after that date is not recoverable from the ministry. Other situations are discussed as well. I believe this is also applicable in Ontario as well. 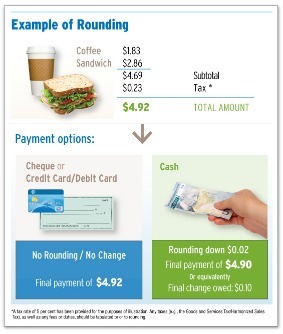 See www.rev.gov.on.ca> Notices> Retail Sales Tax> Highlights from the 2010 Ontario Budget for details. I turned on the TV to find out what time the finale for So You Think You Can Dance Canada is tonight. CTV's Tech News was on. It reported that NSS Labs, the only independent lab to review and rate security programs, released a new report on computer security software. Twelve programs were tested and rated as a public service to consumers. Exploits (drive by downloads) are on the rise and malware protection effectiveness decreased, on average, by 6% since last year as cybercriminals become more effective. Exploits happen silently without the user's knowledge just by visiting an infected site. Trend Micro scored the best at 90% for malware blocking and AVG the worst at 54%. F-Secure and Kaspersky tied for the top spot at 75% for exploit blocking while Sunbelt ranked the worst at 3%. Best bets seems to be McAfee ranked 85.2% for malware blocking and 73% for exploit blocking. F-Secure ranked 80.4% for malware blocking and 75% for exploit blocking. Trend Micro was also recommended despite the low exploit blocking results. You can find the free report at NSS Labs> Endpoint Security> Anti-Malware. The CICA free e-newsletter In the Loop Standards in Transition announced that effective January 1, 2012, private not-for-profit organizations (NFPOs) will use Part III of the CICA Handbook - Accounting as their new standard. It will be available December 1, 2010. Private NFPOs will have the option of adopting IFRS. Government NFPOs will use CICA Public Sector Accounting Handbook (PSA Handbook) as their accounting standard. The AcSB's framework for the new standards for NFPOs is based on existing Canadian GAAP. It "incorporates the 4400 series of standards which relate to situations unique to the not-for-profit world". Part V of the CICA Handbook - Accounting will remain available until January 1, 2012. You can find the announcement at www.cica.ca> Canadian Standards in Transition>e-newsletter . PC Magazine released their Best Security Suites for 2011 today. You can find Neil J. Rubenking's review at PCMag.com> Product Guides> Software> Security to see how all eleven suites were rated. The Editor's Choice was Norton Internet Security 2011 for its firewall, malware detection, phishing protection and parental controls. Next choice was Kaspersky Internet Security 2011. ZoneAlarm and McAfee had not been released yet and will be reviewed at a later date. On September 14, 2010 Finance Minister Colin Hansen announced that British Columbians are being asked what their priorities are for the next provincial budget. Here's your chance to have input in the budget process. Finance Minister Colin Hansen goes on youtube to discuss some of the misinformation "out there" about HST, following an Angus Reid survey. On this video you will find out if you pay more tax on clothing, cell phone charges, computers, diapers, groceries and junk food. September is here and days are getting shorter. Summer went by way too quickly! With vacations over and everyone back at work, now is the time to review your current passwords. I've chatted before about the importance of bookkeepers having strong passwords and online protection ... last summer and this spring. Well PCMag.com has recently published a helpful guide on How to Create Strong Passwords by Eric Griffith. The guide deals with common password problems and how to avoid common passwords. For example, never use passwords that include "letmein", "love", "monkey", "money", "god" or "password". Mr. Griffith recommends you use different passwords everywhere and change them often. He gives a method to create strong passwords ... and a link to a site where you can test your password strength. "... cracking "kroywen" would take 13 minutes, "kr0yw3n" would take about 2 hours, "Kr0yw3^" 15 days, and "MA7ApUp#" about 3 years. You can tell from these results that more capitals letters are better for strength and more characters (eight instead of seven) also make a huge difference. Adding a single capital letter to the end of "Kr0yw3^," such as "Kr0yw3nZ," boosts the crack time to 3 years. Throw another special character in ("Kr0yw3^Z!") and it jumps to 237 years." Then he wraps up the guide explaining why you might want to flaunt conventional password wisdom. You can find the guide at pcmag.com/article2/0,2817,2368484,00.asp . You may also enjoy this video as you lament that summer is over ... Now That Summer Is Gone at https://www.youtube.com/watch?v=kJOtZqT4elk . Use strong passwords and update your software. Remember that only phishing sites send emails to invite you to log onto your financial online account. Financial institutions or PayPal will never make such a request. Use a reputable anti-virus program. It's no surprise that paid for programs provide better quality protection. Don't accept social network invitations from people you don't know. If you receive a message on your computer screen with a virus warning message, do not click to accept the scan and/or fix. You are inviting malware to be installed on your computer. Just close the window by pressing ALT F4. Limit the amount of personal information you volunteer online such as birthdays, your favorites, and your nicknames. According to Mr. Makris, it makes it easier for someone to log in as you. The Bookkeeper News would like to remind you that it is your responsibility to protect the confidential information you receive. Having good online practices helps you achieve this goal. This is not new news. In PC Magazine's May 8, 2007 issue, they posted the 10 most commonly used passwords. A strong password should contain and combine a minimum of 8 characters that include small and UPPERcase letters, numbers, and special characters. It should not contain words found in the dictionary or be based on personal information. Always keep sensitive passwords for online banking unique and private. Consider using different passwords for the different sites you visit to keep them secure. Not changing your passwords for various sites increases your risk of a hacker obtaining access to your information and accounts. I read one blog (can't find where though) that says a good way to create a strong password is to take a word you know and insert numbers/special characters that you have designated to represent SOME letters. Combine this with a numerical sequence that you know but when you type it in, hold the alt key down. For example: bookkeeper2009 would be b()()KkeEpEr™ººª. In another blog there was a suggestion that instead of creating a strong password, create something long and memorable ... such as "This summer the weather is COLDER than normal in Canada." Another suggestion I came across a while back was to create a phrase and use the first letter of each word as your password ... so if we used "This summer the weather is COLDER than normal in Canada. ", the password would be TSTWictnic. Whatever you pick, I hope it isn't one of the ones listed above! As a bookkeeper, you are responsible for ensuring financial information remains confidential. This is especially important when you work from home. One way to protect the information, is to password protect your computer and data files so that family members, friends, or visitors cannot inadvertently obtain access to it. Consideration should be given to using an encrypted e-mail service such as e-Courier for confidential emails. Using such a service meets PIPEDA standards. The Employer's Adviser is a free newsletter published by The Employer's Advisers Office. Their purpose, at no charge to you, is to provide advice, assistance, representation and training on all aspects of Workers' Compensation. Bookkeepers should not hesitate to use their services, especially if your client's rates include a surcharge. Their summer newsletter is available on their website at www.labour.gov.bc.ca. Go to Ministry of Labour> Employer's Advisers> The Employer's Adviser Newsletter. Click on the issue you want to read. Read more about their services here. Of Interest to Bookkeeper News readers? Coming Inflation ... Do You Need to Protect Yourself? Patrick McKeough writes daily tips for Canadian investors. In his September 22 tip, he talks about the coming inflation. He says, "Governments have dramatically increased spending in order to pull their economies out of recession. Moreover, central banks have cut interest rates to record lows. These moves will likely help solve the financial crisis. But the cost will be much higher inflation, possibly starting in the next decade. This will have an impact on all stock sectors. Higher inflation would come as a result of the large increase in the amount of money in the global financial system. Inflation can be defined as a persistent rise in consumer prices, or a persistent drop in the purchasing power of money, caused by an increase in currency and credit that is out of proportion with the amount of available goods and services. In other words, if at some point more money is chasing the same amount of goods and services, it will push up the prices of those goods and services." He gives advice on how to protect your investments. You can find the whole article at TSI Network Daily. The Advice Hotline for September 23, 2009, a free newsletter published by MPL Communications, feels there are five factors working against inflation even though governments are running large deficits, have falling tax revenues and placed more money into our economy through infrastructure spending. Productivity gains which have risen by widespread use of technology allows business to absorb higher costs for raw materials. Unemployment highs in Canada will temper wage demands. Employers will invest in capital rather than hire additional labor and be open to rising wage demands. Real estate prices have stabilized in Canada which will prevent the cost of living from surging ahead. Low cost imports from developing countries should hold. Rising oil prices are a threat to inflation and may eventually erode international trade and globalization, unless human ingenuity finds ways to use less oil. The dollar's rise has cut import costs which has a deflationary effect. The loonie may rise further as the global economy continues to recover. While this post does not pertain directly to being a bookkeeper or bookkeeping, it's a reminder not to forget about managing your personal assets while you are running your business. I found this quote on page 133 of The Artist's Way by Julia Cameron. Something about it makes me exhale ... and I didn't even know I was holding my breath! Do you have kids attending post secondary school? The Bookkeeper News recommends for students needing to prepare their tax returns - Online QuickTax Student Edition. It leads you through an interview and is free if your income is $20,000 or less. It's good for your kids to learn how they are being taxed and how to reduce the tax they are paying while their return is still simple. Maybe they will be future bookkeepers! Here are some Bookkeeper News links to economic and market data which may be useful when putting together your business plan. All the Canadian banks have economic newsletters you can subscribe to as well. Canadian Business newsletter Daily Market Wrap highlights the days news, US dollar close, S&P/TSX Composite close and more. The website (canadianbusiness.com) used to have economic indicators on the "Markets" drop down box. But they have revised the site and I can't find it anymore. Since the reno, The Market Wrap Information and Market News is now found in a box on the right hand side mid way down. My preferred place for a market summary is now at The Globe and Mail > Globe Investor. CanWest Global Communications Business page (Financial Post, Global TV) has a lot of information including a Market Summary and very useful financial tools. Trading Economics Canada Stock Market Chart - S&P/TSX Composite gives you the monthly historical values. They also have a banner quoting the interest rate, growth rate, inflation rate, jobless rate, exchange rate and more. I like the historical value chart because I can visually see trending. Here are links to the Bank of Canada Currency Converter and a World Currency Converter. Canadian Business Deposit Rates for financial institutions seems to have gone by the way side with their latest site renovation. It was a great listing that I miss. President's Choice, ING Direct, Outlook Financial and Citizen's Bank are/were some of the high-interest* choices. *While I'm discussing banking, a great book by Globe and Mail columnist Rob Carrick is How to Pay Less and Keep More for Yourself - The Essential Consumer Guide to Canadian Banking and Investing. Because it's a few years old now, I'd probably just borrow it from the library. Do you have a favorite Market Watch resource you use to help you prepare your business plan? 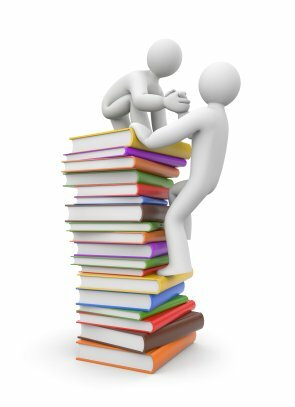 Why not share it with other small business owners and bookkeepers in The Bookkeeping Forum - Favorite Bookkeeping Resources. Business financial calculators, websites, where to find federal budget information and the Income Tax Act (ITA) are all found in this forum. Canadian Business Magazine and KPMG have a 4-part series on Sustaining Value in a Changing Economy.